My husband and I were so excited as we sped along I-5 to pick up our daughter at the airport. We are happy that she decided to spend Spring Break with us. I also couldn't help notice the vibrant yellow rays shining from the sun against the backdrop of a clear blue sky. It's officially the first day of Spring. Blaring on the radio was the song Breakeven by the Script. "This is by the Script, the group that orignally sung 'Live Like You're Dying' " my husband said. "Oh no wonder it sounds like the Kris Allen song", I said. "Oh yeah, the arrangement is totally similar" I said further. While the song was playing, I tried to mix the Live Like your Dying lyrics with it and we laughed out loud because it blended so well. I-5 South twisted and rolled toward the searing sun, as my husband gripped the wheel with both hands, then suddenly releasing the other hand to hold mine. I was still singing my heart out, and I was seemingly just lost in the moment. If we were not on our way to pick up our daughter, who is already 21, I would have thought that my husband and I were still just college sweethearts! From the moment my daughter came into the car, she started telling stories. I thought I was the chirpiest person but wait until you hear my daughter. It was non-stop. We had to turn off the radio for her to have our full attention! We had missed her animate garrulousness. "Mom I have pasalubong (homecoming present) for you!" she said as soon as we got home. She showed me a box of my favorite Girl Scout Cookies: Samoas. "I know you love Almond Joy and desserts with chocolate and coconut, so I got you these." As we started eating these delicious treats, my daughter exclaimed, "Remember when Dad used to bring home pan de coco and chocolate milk for me when I was a little kid, Mom?" Smiling, I nodded my head and quickly began to reminisce. When my husband would come home from medical school, he would always have a bag full of pan de coco (which literally translates to "bread of coconut") and Chocolait (chocolate milk) in a tetrapack for my daughter, who was only a toddler back then. It was my husband's special way of letting my daughter know that he was home. "Wow, that was like a lifetime away!" I laughed. Indeed, I remember how she loved eating those little coconut-stuffed rolls and how she would even love it more when she could dip it in her glass of chocolate milk. And now, a decade and a half later, she's the one bringing us a simple gift of sweetness to let us know that she was home! Life seems to have come full circle. I told her, "That was my inspiration for my Choco Coco Loco," and I handed her a tray of my newest concoction. She bit into this desert empanada and immediately her eyes grew wide with amazement. "Oh, these are better than the Samoas, Mom! How did you do it?" I grinned even wider than before. 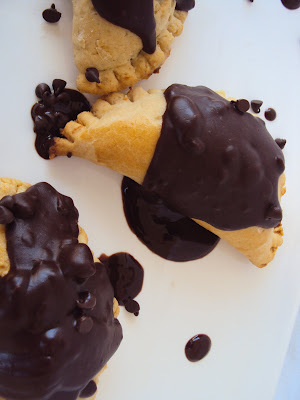 That's when I knew that I had to share with you my CHOCO COCO LOCO EMPANADAS. In a saucepan, mix the condensed milk and coconut milk. Let it simmer. Add the vanilla and the constarch mixture. Stir in the dessicated coconut. Let it cool. Put the flour into a large bowl. Dig a hole in the mound of flour. Add butter, water, and egg blend in using your fingertips or a pastry blender until the mixture resembles coarse meal with some (roughly pea-size) butter lumps. Turn the mixture onto a lightly floured surface and gather together, then knead gently with heel of your hand to bring dough together. Lightly flour a pastry board or clean table top. Using a rolling pin, roll out dough on a pastry board until desired thickness. I wanted mine to be a little thick. Get a saucer and use it as a template to cut circles using a cutter or a sharp knife. Spoon about 1-2 teaspoons of the coconut filling and put it into the middle of each pastry circle. Fold the circle so the edges meet and filling is sealed. Press the edges of the pastry using a fork. Brush the surface of each empanada with slightly beaten egg.. Using a fork or a sharp knife, make slits on the surface of each empanada. Arrange on a greased baking sheet and bake it for about 20 minutes or until light golden brown. Let it cool. Place chocolate pieces in a large bowl on a baine marie. Stir continously. Add butter and stir again. Remove from heat. Adjust according to your preferred thickness. Allow ganache to cool before pouring over the empanadas.Enjoy! Kulinarya was started by a group of Filipino foodies living in Sydney, who are passionate about the Filipino culture and its colourful cuisine. Each month we will showcase a new dish along with their family recipes. By sharing these recipes, we hope you find the same passion and love for Filipino Food as we do. If you’re interested in joining our Kulinarya Cooking Club, please feel free to drop by our foodblogs and leave a comment – we would love to hear from you! This is fantastic - a sweet empanada! 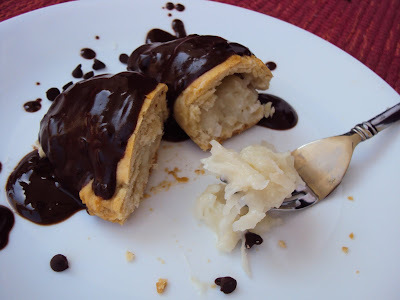 Chocolate, coconut and buttery pastry make the best combination of flavors. I can't wait to try it out! Oh, I love this idea!!! I adore empanada, and I think I would love this even more. Yum! Malou!! Reading your post makes me really think of Spring! It's just so happy - it really made my day! Especially the choco coco loco empanada. What a fantastic twist you've come up with. 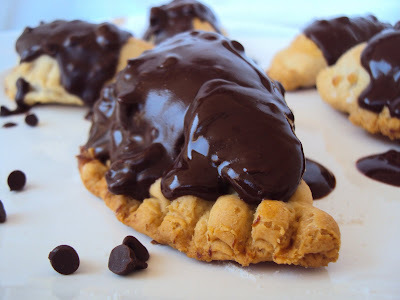 Love the idea of a sweet empanada! Malou, you kill me everytime! This looks awesome! My daughter LOVES coconut. Once in a while, I make her warm coconut rice pudding -- just for her. She would lOVE this! Malou I love your version on Empanadas. They look delicious. I have some left over Empanada dough and we have dinner at my Kuya's tonight. I am so making this. Thanks for posting such an enjoyable Kulinarya post. 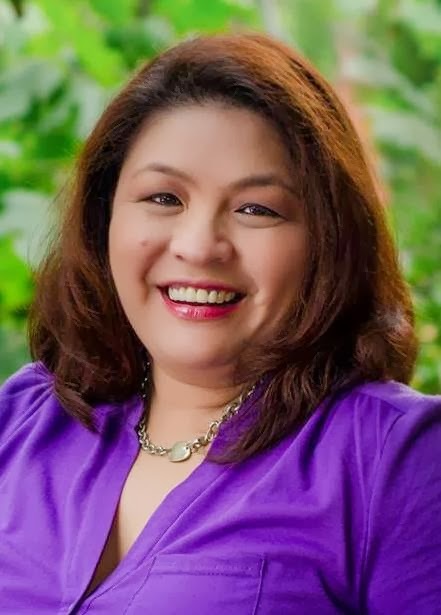 Hopefully one day I will get to meet the bubble, cheerful person behind "Skip To Malou"
Hi Tracey: Thank you and I hope you could get to try it... and yeah i'm enjoying the bonding time I'm spending with my daughter. Liren: It's uber delish... so I hope you get to try it. Trissa: Spring brings happy moods, flowers a-bloom, sunshine... it's just a happy feeling and it's always great to share it to others! Gina: I'll bake some for your daughter when you come to SD. Thanks for the follow Gina! Kath: I know, wouldn't it be great if we will meet each other... the thought excites me... happy cooking! Looks heavenly and very timely to make this for your daughter. And it's a combination of to beautiful ingredients, coconut and chocolate. Oh, make that three, the condensed milk too. Gosh...look at that filling....my favourite ingredients there. I have to try it one of these days. Looks very delicious with the chocolate drizzle. Have a fun time with your daughter! recipes that make people so excited they can't wait to try it. This will really be a hit to people who loves coconut and the extra treat about this recipe is adding chocolate on it. No wonder Martha Stewart is following on twitter. I can see why! This is awesome. Malou you outdid yourself! Have never seen empanada this sweet. How is my dear sweet Malou....doing super am sure with all these fantastic empanada's as sweet n delight jus like her? This was such a joyful post to read. Hope you have a great time with your daughter. Divina: it's really good with the condensed milk... it tasted so good! Cookies and Cream: LOL! I know i'm so thrilled that Martha Stewart follows me on twitter! Foodie: glad you liked it.. thanks mucho! VSSF: fantastic indeed... you're so sweet yourself... you've have an infectious joy! cusinera: sinful indeed... twas sooo good! This is fantastic!!! I am in awe! Olive: oh yeah love those pan de cocos sold in a neighborhood bakery! 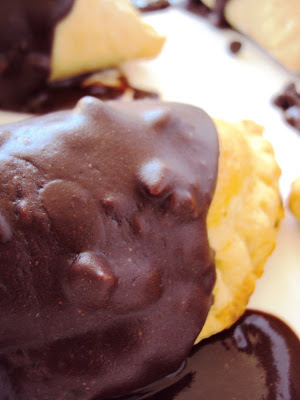 Such a great idea making choco coco loco (love how you named them) empanadas. All that flavors must be divine, a great combo. Your post are always fun to read, too! Enjoy your special time with your daughter. WOW, your empanadas look so decadent. I want one NOW! Your sweet empanadas look magnificent and I hope you enjoy a wonderful visit with your daughter!! hello caroline... try to say the choco coco loco hahaha.. thanks and yeah it really was sooo good. hi cherrie pie: if we were neighbors then i would have invited you over... our neighbors came last night because of my posting haha. This looks wonderful. The filling looks completely different from what we have here. OK! I started reading and when it got to the box of girlscout cookies I froze! These have been my nemesis! I am so glad you made the infinitely better empanadas for your daughter and she appreciated them too! Relief! Wow. Is all I have to say. These look amazing. I don't know how you do it..but you really hit this one out of the park. Bravo my dear. Bravo. And I love both of those songs that you and your hubby were singing to! (You guys sound adorable by the way!) Have fun with your daughter this week! You guys deserve some good quality time together. I had to listen to both songs and you're right the arrangement is very similar. I could imagine you and your hubs singing along... oh so cute and the HH while driving, ahhh Malou you're so lucky! This empanada what? choco coco loco? How did you come up with it. I think it's one of your bestest concoction. Very original! what a very lovely story..and your sweet empanada has won my heart...reminds me of dulce de leche..sweet and savoury..and chocolate?!??! oh dear..it's 12midnight and i had to go down to have a bar of chocolate after seeing your post..see i am munching choc while writing this comment..deliciousness! Cheers to Pinoyfood and wonderful memories! Rebecca: I think I was writing my reply when you posted your comment... I'll be honored to guest blog on your site. Let me know how you may want to do it.. and please guide me how as this is my first time to guest blog. Thank you so much for the invite. Lorena: when you make them, please don't forget to invite your good neighbor (sounds like the state farm commercial hahah ) and that's ME! LOL! Juliana: I hope you'll get to try it Juliana... i know it's quite different from what you are used to. Anncoo: I took the sweet way of presenting empanada.. i hpe y ou get to try it... it's something new. Jenny: yes hubs and I always share a good laugh together... thanks for the kind words. ConfessionNOok: hi great to meet another KCC sis... see you around the KCC world! I've never had a dessert type empanada. Sounds deliciously decadent! That is one inspiring dessert. Enjoy Spring and your daughter's visit. I'm looking forward to visiting here often. @Veron: great to see you drop by... my first time too to have a sweet empanada. @Penmy: awww that's so sweet... i hope to see you more often than... have a good day! Your daughter is the luckiest girl in the world to have such a loving mom, and you are the luckiest lady in the world to have such a loving family. Love the name of this dessert. ohhh...they look delicious! I love coconut. Those are some cool empenadas!!! Yummy! Please check out my new blog, its had a major makeover. I am totally excited to have everything running again and looking better than ever. I'd love to know what you think. Also, please enter my Amazon competition. Nice writing as always and good to hear all about your romantic drive to the airport. Hm.. spring is the best! Great recipe. I have to admit it. I am wiping a tear away as I read this post. Not for the delicios recipe (which I need to make for my wife), but for the love story and the obvious joy you take in life and family. I have two young daughters. I think about the future with them and I can't wait to have the kind of intimacy you obviously enjoy with your daughter. Way to go getting me all soggy! Christine: Thank you for the kind words and yes Im blessed indeed! Gulmohar: daugthters are one of life's precious gifts we just have to cherish them... your daughter is lucky for having those wonderful treats you make for her too! Diane: thank you for the follow... thanks for dropping by.. i hope to see you around! Nostalgia: Aww thanks, my husband wanted me to edit that part out and I told him look no one is commenting on it so it's nothing and here you are... I had LOL'd when I read your comment. Thanks! Sushma: thank you for the compliment... Please stop by anytime... take care! What a fabulous idea! The filling sounds fantastic and the chocolate glaze is excellent! They look lovely. And your daughter is a star, for inspiring them....! We have 10 boxes or so...of different girl's scouts cookies. 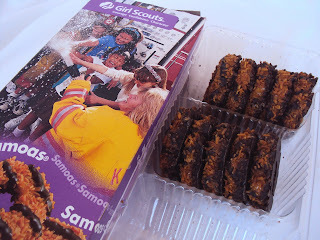 The samoas are tooo sweet!!!!! I'll have these Empanadas instead! its like a choco puff! Hellooooo dahling, its me again ;) just stopping by to say thanks for entering my competition. I hope you have an incredible weekend. What a lovely spring day you had there. Keep posting love your takes on tradtional Pinoy Foods. Oh! My! Gosh! These look fabulous beyond belief! I can't wait to try these!!! Mmm. Your Choco Coco Loco Emapanadas look delicious! hmm the oscars or kpbs?